We’ve all had problems with mold. Whether it’s on a loaf of bread you’ve kept for too long or creeping in through a crack in your damp basement, mold has been a perennial problem throughout human history. But have you ever heard of snow mold? Even if you haven’t chances are you’ve seen it. Ever notice in spring how your lawn gets slowly expanding brown, straw-like patches? That’s snow mold. However with proper winter lawn care it can be sno-more. Snow mold is a fungal disease that is usually discovered at the beginning of spring when the snow begins to melt, though growth actually occurs during the winter months when the ground is cold and wet. 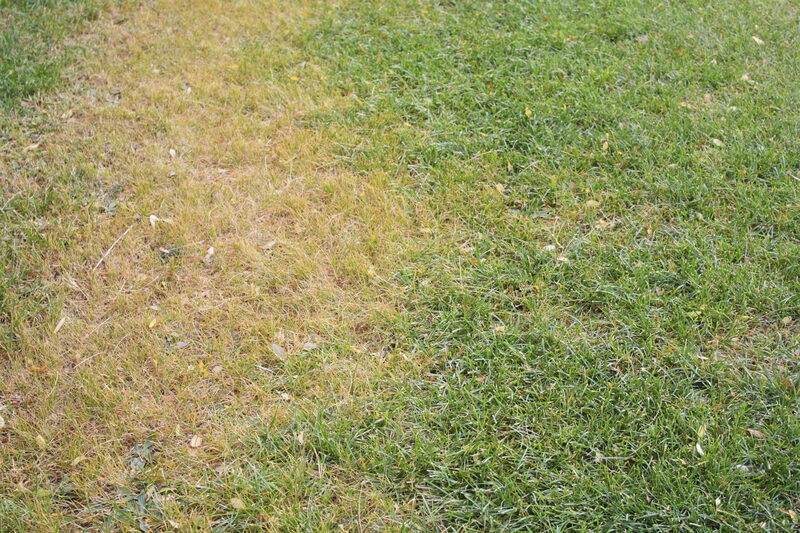 Snow mold comes in two varieties: Pink (called Fusarium patch and caused by Microdochium nivalis) and Gray (called Typhula blight and caused by Typhula spp.). Gray snow mold forms resistant fungal structures while pink snow mold forms spores that tend to linger in debris. Both typically survive long through the hot summer temperatures but Gray snow mold activity stops when the temperature exceeds 45° F or the surface dries. 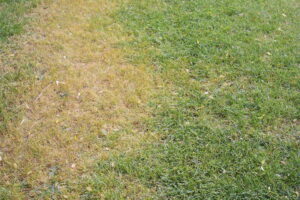 Pink snow mold can continue to grow during wet weather in the fall and spring, provided that the temperature is between 32° F and 60° F.
In addition to the signature brown patches, snow mold gives grass a matted appearance and oftentimes leaves colored growths, which will be greyish white, or pink. In extreme cases snow mold can prompt the appearance of mushrooms and (in the case of grey snow mold) small, tough spherical structures called sclerotia on the leaves of affected plants. Fortunately, while the damage caused by snow molds is unsightly, it is rarely serious. General lawn care guidelines suggest that you can treat affected areas by gently raking them to promote drying and disrupt fungal growth. Fungicides are not recommended. If you want to get proactive about preventing snow mold, in the fall you should do the following: Avoid excessive application of fertilizer, mow your lawn until it stops growing, rake up leaves and prevent them from forming piles, and spread out snow piles to encourage rapid melting. If snow mold is a recurring problem for you, spraying your lawn with a coating of thiophanate-methyl in October or November may be helpful. If you’re looking for assistance with snow mold or have any other winter lawn care questions than contact the Atlantic Maintenance Group. Atlantic Maintenance Group is a full service landscaping company, providing maintenance, design and construction, as well as snow removal, asphalt and concrete services. We are your source for complete landscape and facility maintenance for commercial and residential properties throughout Maryland, Virginia, Pennsylvania and Delaware. We are a self-performing landscaping company, meaning we don’t hire subcontractors, and senior management is involved with every project. Our highly trained team of professionals receives constant, ongoing education on the latest industry trends, updates and safety measures. This ensures we can deliver outstanding customer service and results to our clients, regardless of the size of your job. This entry was posted on Thursday, October 2nd, 2014	at 8:15 pm	and is filed under Blog, Lawn Maintenance Service, Lawn Tips	. You can follow any responses to this entry through the RSS 2.0	feed. Both comments and pings are currently closed.